WBJEEB (West Bengal Joint Entrance Examinations Board) has issued the notification for aspiring candidate as WBJEE JELET 2019 for popular Engineering College in West Bengal. 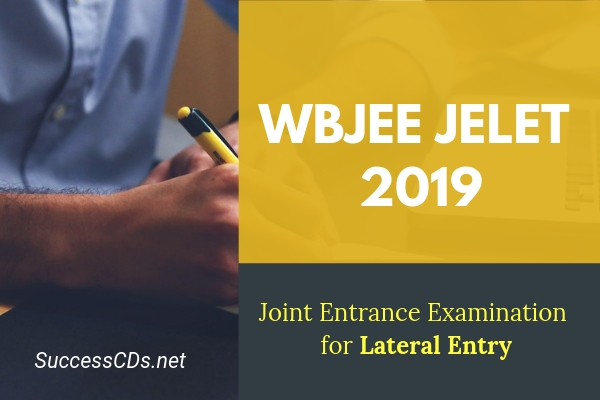 WBJEE JELET - the Joint Entrance Exam 2019 will be in the 14th July 2019 (Sunday). For University/University Departments: Reservation rules of the concerned University shall be applicable as the reservation for PwD candidates is on horizontal basis, the selected candidates will be placed in General, SC, St, OBC-A, OBC-B Category to which he/she belongs.